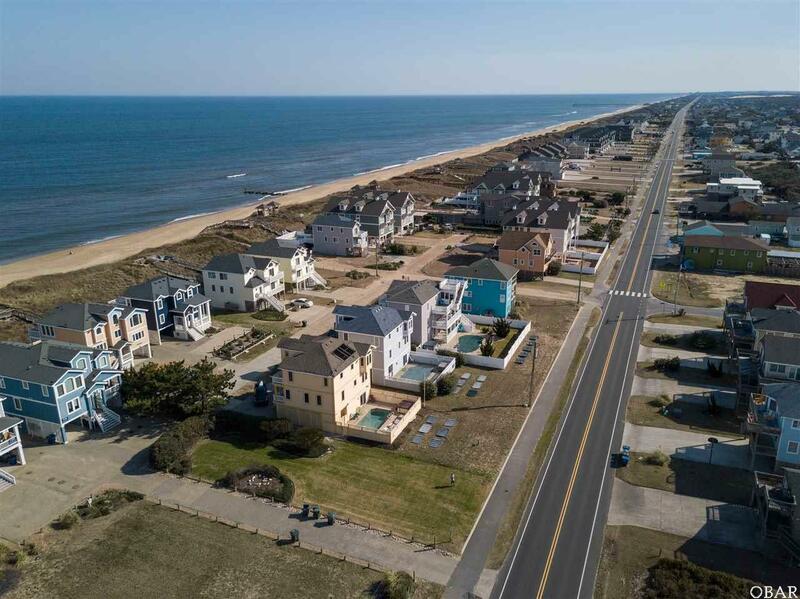 Location, Location, Location...walk to one of the BEST beaches in Outer Banks without having to cross the beach road. This 5 bedroom home is a proven consistent rental income producer! 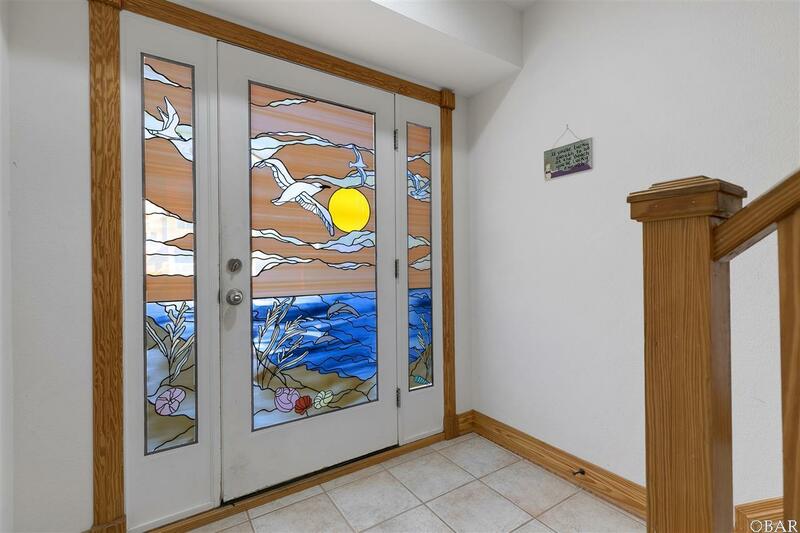 Just within steps to the beach, only one house separates you from the ocean. 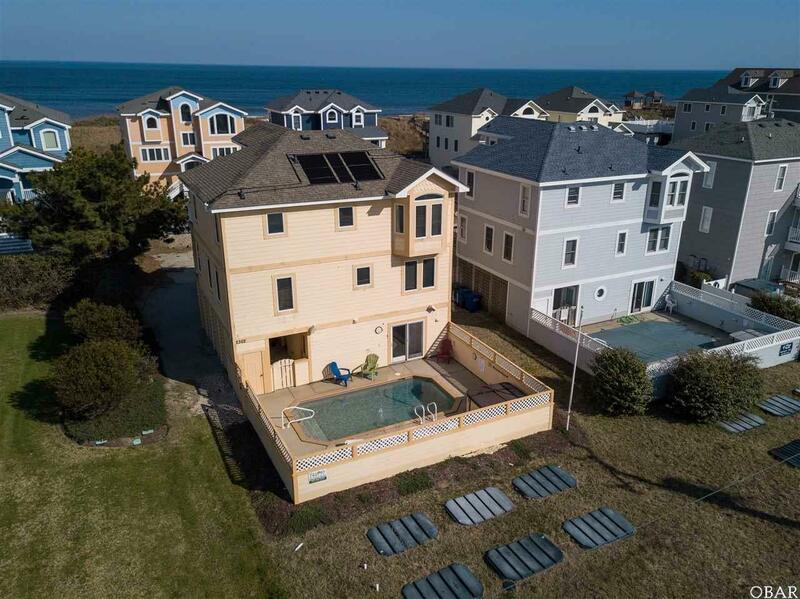 Has solar heated pool with alarm. 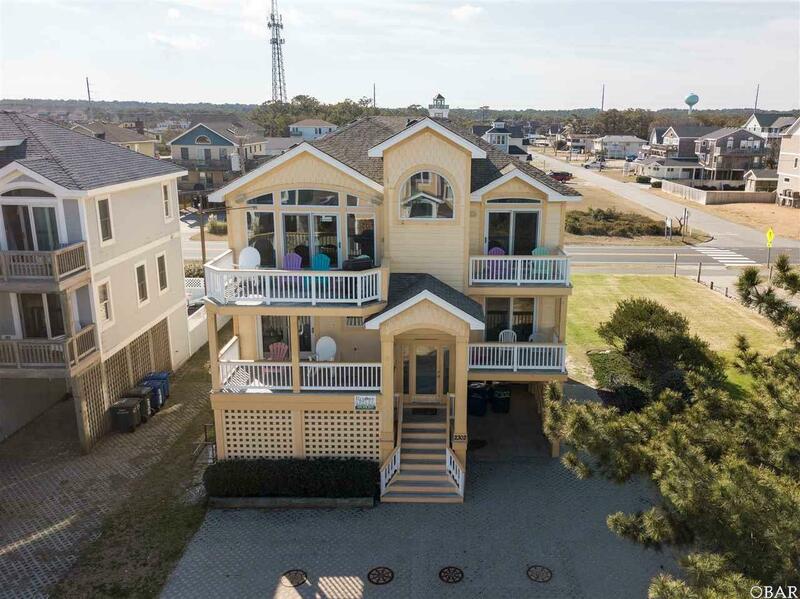 This home has four decks and stunning ocean views while lovely sunsets brighten the great room/dining areas with natural light.